It's nearly time for Me-TV to unroll their summer line-up of classic television shows and to kick up the excitement for the event the Classic TV Blog Association is once again hosting the Summer of Me-TV Blogathon. Since summer is just around the bend we thought we'd celebrate that season of sunshine, moonshine and county fairs with a nostalgic look at The Andy Griffith Show and the town-folk of Mayberry. 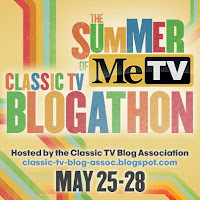 What other show captured the lazy carefree days of summer as well as The Andy Griffith Show? The series revolved around small-town sheriff Andy Taylor, a widower, who divides his time between raising his young son Opie, and settling the problems that arise within Mayberry, a sleepy North Carolina town filled with colorful residents. 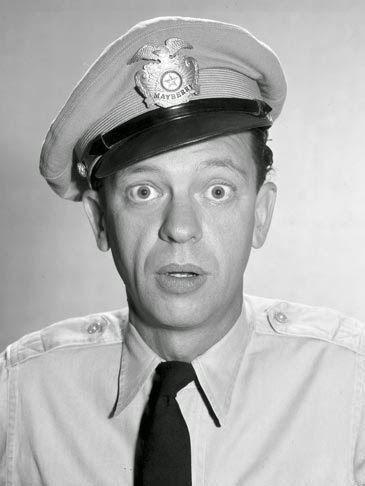 Most of these problems are comedic escapades created by his hyperactive deputy Barney Fife. Andy and Opie live with Andy's Aunt Bee, who acts as a surrogate mother to the boys serving up portions of pork chops and homemade apple pie to lift their spirits when needed. The Andy Griffith Show was introduced as a spin-off from The Danny Thomas Show in 1960 and was such a hit with audiences that it lasted for eight seasons, always remaining on the top ten charts and winning six Emmy awards. Today, the show is considered to be one of the most beloved situation comedies in television history. Its down-home humor and endearing cast of characters draws the audience into each episode making us long to be fellow citizens of Mayberry. Majority of its viewers were weened upon the show and simply whistling the familiar theme-song conjures up fond memories of childhood. Even upon the series debut it had a nostalgic feel that hearkened viewers back to the easier, gentler times of the past. 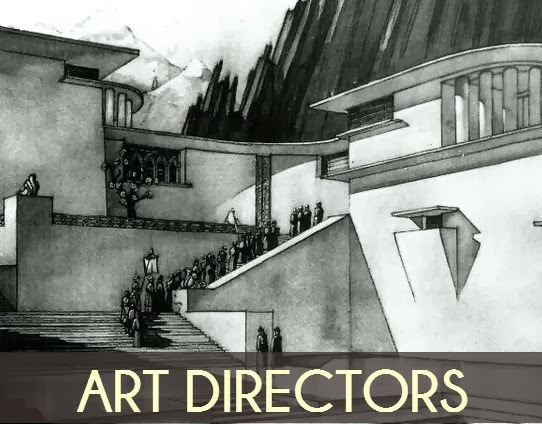 Griffith once said that although the series was set in the 1960s, they aimed to capture the feeling of small-town America in the 1930s. 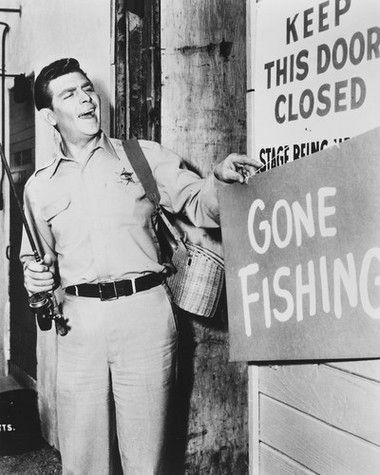 Capture it they did, for The Andy Griffith Show is 100% pure Americana bottled up on film. Sheldon Leonard, who helped create the series along with Danny Thomas and Andy Griffith, was the executive producer of the show for its entire 249 episode run. 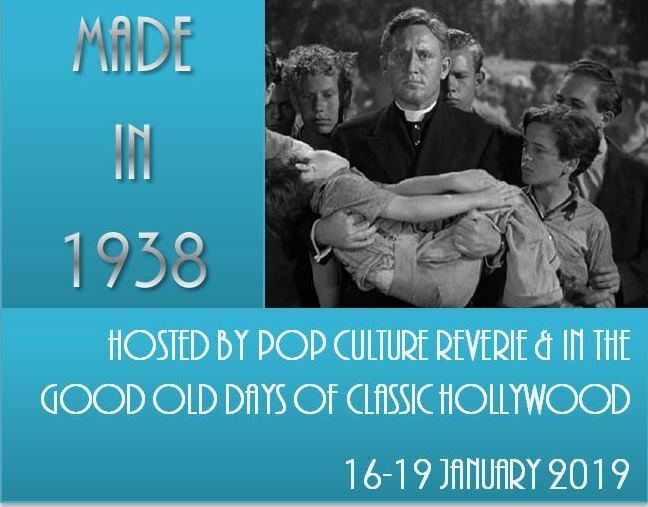 All of these episodes were filmed at the Desilu Studios with the exterior shots of Mayberry being filmed at a backlot in Culver City. Producer David O. Selznick owned this land at one time and Mayberry was in fact the streets of "Atlanta" that were built for Gone with the Wind ( 1939 ). The opening scenes of Andy and Opie walking to the fishing hole ( and all of the Myers Lake sequences ) were filmed at the beautiful wooded Franklin Canyon Park, north of Beverly Hills. Incidentally, the voice you hear on the opening credits announcing the show is Colin Male, a little-known actor who did occasional work as a voice-over artist. 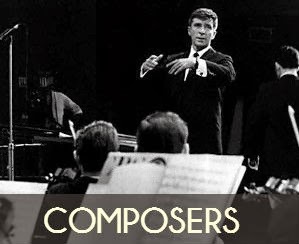 As for the music, "The Fishin' Hole" theme song was composed by Earle Hagen and Herbert Spencer, who also penned most of the music for the series, including "The Mayberry March" heard in the background in most episodes in different tempos and orchestrations. Writer Aaron Ruben, who served as producer during the shows first five seasons, was also script consultant. 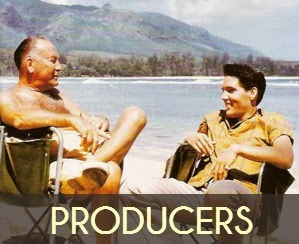 He had a large hand in creating the overall feel of the series and keeping the episodes united throughout each season, for over the course of the series there were as many as thirty screenwriters. 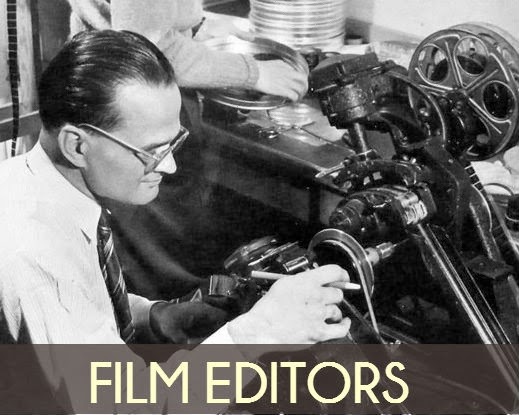 Some of the best episodes from the series were penned by Everett Greenbaum, a talented screenwriter who got his start writing episodes of Mister Peepers ( 1953 ) and The Real McCoys ( 1958 ). 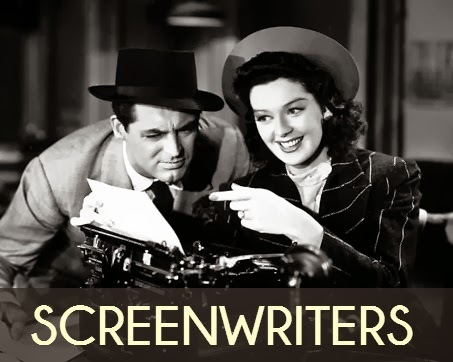 He also wrote the screenplay to that marvelous comedy Good Neighbor Sam ( 1964 ) starring Jack Lemmon. Unlike some series at the time, The Andy Griffith Show never underwent drastic cast changes and even with the addition of new members to the series the show remained as fresh as its first season. When familiar characters left, new ones replaced them and these new faces were welcomed with open arms in Mayberry. 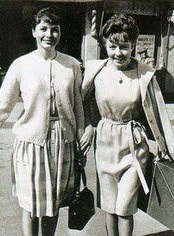 The earlier episodes featured Ellie the druggist, portrayed by Father Knows Best regular Elinor Donahue; Nurse Peggy, a steady date for Andy; and Floyd the Barber. These characters were replaced by Gomer the mechanic, who made his debut in season three, and Helen Crump as Andy's new girlfriend. When Gomer left to join the Marines, he passed the monkey wrench to his cousin Goober, and later, when the show switched to color in 1966, Howard the clerk came to town and became a favorite visitor at the Taylor residence. Andy Griffith graduated from the University of North Carolina with a degree in music which he used to teach music and drama to high-school students in Greensboro for several years. After his monologue "What it Was, Was Football" made it to the record charts in 1954, Griffith landed a role in an episode of The United States Steel Hour entitled "No Time for Sergeants", where he made a hit as country bumpkin Will Stockdale. 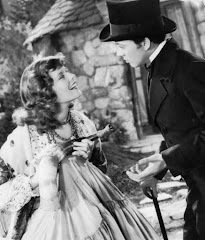 This teleplay was expanded into a Broadway play for which Griffith was nominated for a Tony Award. A year after Griffith's film debut in A Face in the Crowd ( 1957 ), he reprised his role as Stockdale for the film version of No Time for Sergeants, which also featured Don Knotts. 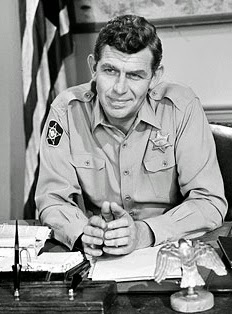 When the concept of The Andy Griffith Show was developed by Leonard, Thomas, and Griffith, it was decided that he should reprise this character once again, making him just a little more polished to suit his role as a father and sheriff. To gauge audience response to the new series before it was launched, the producers presented a pilot episode on The Danny Thomas Show ( Ep.20 S7 - Danny Meets Andy Griffith - Feb. 15, 1960 ) where Danny has an encounter with the town sheriff while travelling with his family. It was very well received with fans writing in to ask for more episodes featuring Andy. 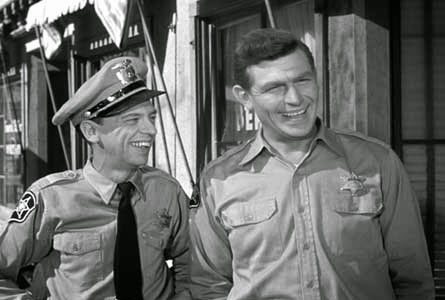 Throughout the first season of The Andy Griffith Show, Andy portrayed the sheriff in a delightful carefree manner with him and Barney being a team of simpletons, much like the relationship between the Skipper and Gilligan on Gilligans Island. Visitors to Mayberry would always be amazed at how Andy could handle difficulties in such an effective and yet simple country manner. Andy gradually abandoned the "rustic Taylor" and developed the character into a patient, thoughtful and more serious man after he realized that the episodes would be funnier if he would play the straight-man to Barney and the comical characters around him. As producer Aaron Ruben recalled "in the next season he changed, becoming this Lincolnesque character". Apt words to describe the new Andy Taylor, who was now not only sheriff in town but an arbitrator to all the domestic squabbles in Mayberry. Opie turned to his pa for guidance, Barney for the final word on how to handle prisoners, and Aunt Bee for advice on her romances. It is no wonder Andy had to escape to Myers Lake upon occasion to clear his head! 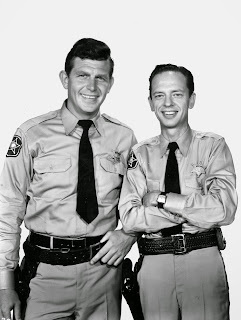 While The Andy Griffith Show was still in the top ten ratings, Griffith decided to nip it in the bud and leave the series, primarily to avoid being typecast as a southern sheriff and, in the 1970s, starred in several unsuccessful television series ( including The New Andy Griffith Show also penned by Greenbaum and Ruben ) before landing the plumb role of country lawyer Ben Matlock in Matlock ( 1986-1995 ). "You know Barn, you beat all!" Andy was certainly right. Barney had to be the most bumbling deputy to ever wear a badge. In spite of his inept handling of criminals, he was dedicated to his duties as a deputy keeping his lone bullet sparkling clean ("Barney has the prettiest bullet in town" Asa once claimed ), his shoes polished ( especially on the back side - "that's the last people remember of you" ), memorizing the sheriff's code book and practicing the art of self-defense, making his whole body a weapon. Barney fancied himself an expert on firearms, women, child-rearing, the paranormal, and any other topic in life. He also believed he had all the answers to life's little problems and was always ready, willing, and able to pry into other's affairs to give them a helping hand, even when his "help" isn't wanted. It's a testimony to Knotts comedic ability to create a character so blundering, egotistical, gossipy and boastful, and yet make him such a beloved character, not only to television fans but to the citizens of Mayberry itself. Don Knotts got his start in comedy-television in the mid-1950s appearing as a member of a trio with Louis Nye and Tom Poston on The Steve Allen Show. It was Knotts who proposed to Griffith, during the developmental stage of The Andy Griffith Show, that the show needed a deputy character and Barney Fife made his first appearance on the second episode, where he was introduced as Andy's cousin, remaining in a supporting-star role until the end of season five when Barney moved to Raleigh to become a private eye. 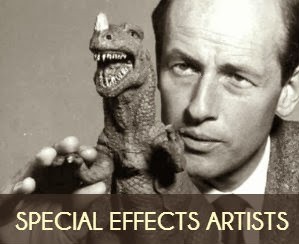 Knotts went on to pursue a career in film, making several great comedies in the mid-1960s for Universal Pictures including The Ghost and Mr. Chicken, The Reluctant Astronaut, and The Shakiest Gun in the West. Occasionally Don Knotts returned to the Griffith set for guest appearances as Barney, notably in the final season ( Ep. 21 ), where he hosts a summit meeting for Russian diplomats. Knotts most recent film appearance was in Pleasantville, where he portrayed a mysterious television repairman. For his work on The Andy Griffith Show, Knotts' received five Emmy awards. Almost everyone can associate with having a beloved Aunt Bee in their family. 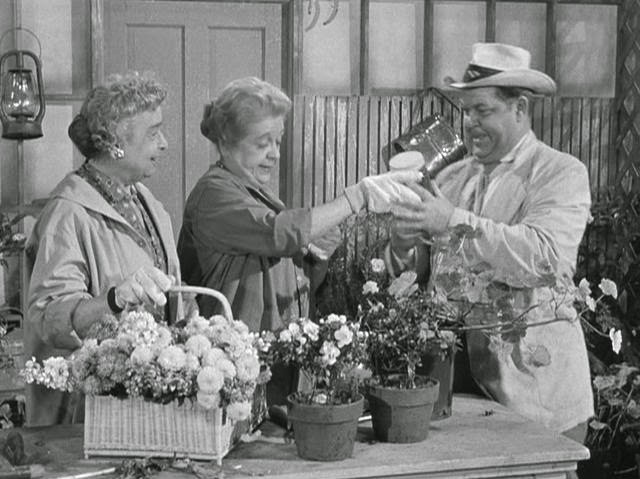 In our household, Aunt Bee was the spitting image of our Oma, our grandmother. It is this recognition everyone has of familiar mother-members that makes her such a welcoming presence on the show. 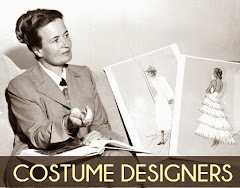 Frances Bavier began her acting career in the mid-1920s after graduating from the American Academy of Dramatic Arts. She performed in many notable plays of the 1930s and 1940s ( "On Borrowed Time", "Point of No Return" ) in a variety of different roles. Once she began acting on television, however, she found herself typecast as frontier women, mothers and aunts ( she was Arden's mother on The Eve Arden Show ). 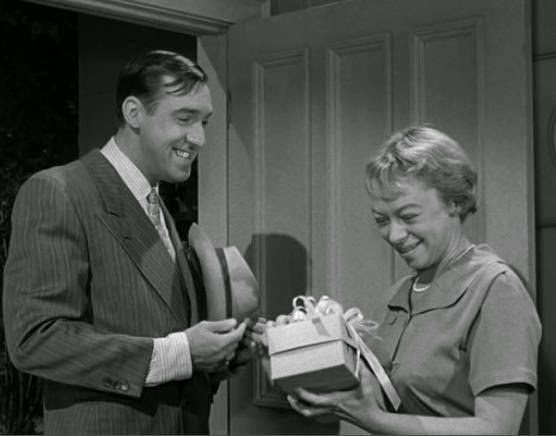 Bavier made her first appearance with Andy Griffith in the Make Room for Daddy episode that launched the series, originally playing a character named Henrietta Perkins. Throughout The Andy Griffith Show's run, Bavier had a love-hate relationship with the character and many of the crew recall her being difficult to work with. 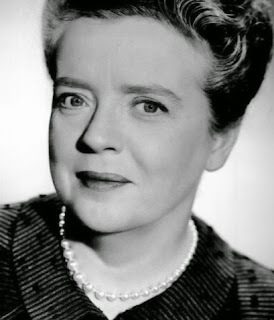 She may have felt that her dramatic talents were being overlooked, even though in the later seasons the character of Aunt Bee was given more script-coverage. However, she was the only principal actor to remain with the series when it spun off as Mayberry R.F.D, so she must have enjoyed it to some extent. Eventually she escaped from the bustle of Hollywood to seek a real Mayberry and moved to the small town of Siler City, North Carolina, where she received respite for a time, until fans sought her out even there. In her last days, she became a recluse, driving her favorite 1966 green Studebaker Daytona sedan to Byrd's grocery store and living with her fourteen cats. Opie's mother died when the boy was the "least little speck of a baby" and so he grew up under the care of Rose the housekeeper and, later, Aunt Bee. Opie idolized his pa and often visited the courthouse after school. 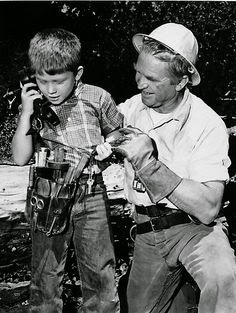 Opie never doubted that his father was the best sheriff in America, but Andy sometimes misjudged Opie and the reasons behind some of his ( seemingly ) irresponsible acts, not realizing what a prize young'n he had raised. Ron Howard's father Rance was an actor and at the tender age of 3, little Ronnie made his first first film appearance ( The Journey ), later guest starring in television shows such as The Twilight Zone and The Many Loves of Dobie Gillis. 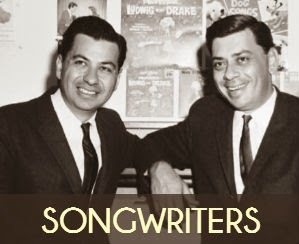 While he was working on The Andy Griffith Show, Ron also appeared in films, notably The Music Man ( 1962 ) and The Courtship of Eddie's Father ( 1963 ). After the series ended, Howard didn't have to wait long before he landed another role in a regular series - The Happy Days ( 1974-84 ). 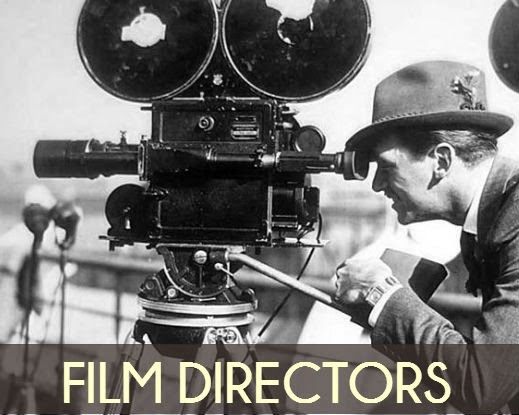 Today, he is best known for his work behind the camera with A Beautiful Mind, The Da Vinci Code and Angels and Demons among his directorial credits. 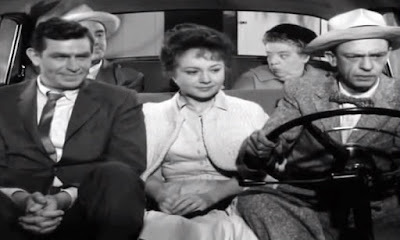 Thelma Lou made her first appearance in season one of The Andy Griffith Show, appearing in Cyrano Andy. Later, with Helen's arrival, the two gals often double-dated with Andy and Barney and were the best of friends. Helen hailed from Kansas and arrived in Mayberry as Opie's new schoolteacher in the third season episode Andy Discovers America. She is an independent self-reliant career woman who doesn't know a thing about cooking, but loves children and is always ready to lend a sympathetic ear to Andy's problems. Corsaut made numerous television appearances on television shows such as The Detective, Death Valley Days, and Bonanza before she landed the part of Helen. Corsaut continued to guest star in various television programs until she was later reunited with Andy Griffith on Matlock, appearing as Judge Justin for seven episodes. 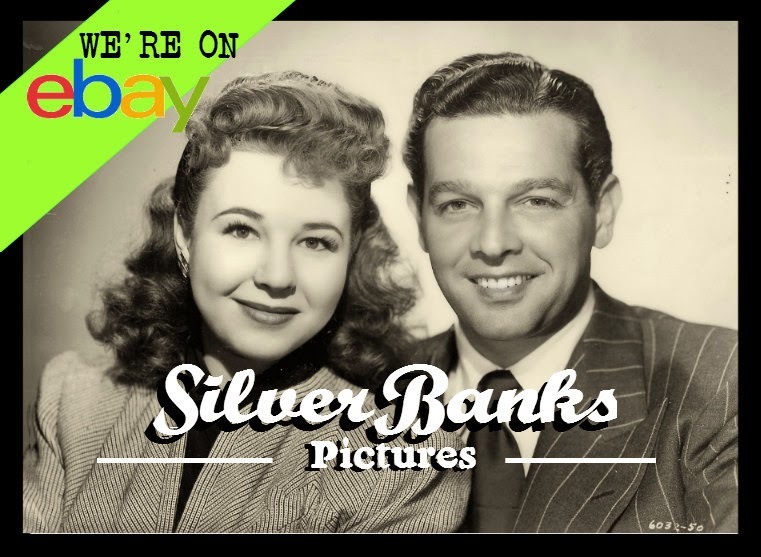 Betty Lynn was a popular actress at 20th Century Fox during the late 1940s, often in roles as teenage ingenues. She appeared in such classics as June Bride, Mother is a Freshman and Cheaper by the Dozen. 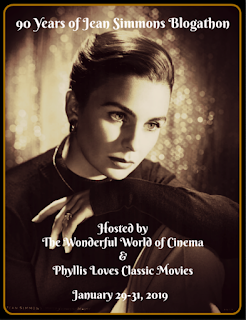 In the early 1950s, she made the switch to television appearing as a regular on Ray Bolger's original series Where's Raymond? and doing the usual round of western guest appearances just like Corsaut before she got the part of Thelma Lou. Today, Thelma Lou makes monthly appearances at the Andy Griffith museum signing autographs for fans. What made Mayberry such an idyllic town was its people. This broad range of southern folk included retirees, myriads of children, a handful of eligible bachelors and bachelorettes, some moonshiners, church ladies, eccentrics, bums, and a large number of hard-working average American citizens. Oddly enough, very few of your typical sitcom quad families ( father, mother, daughter, and son ) lived in Mayberry. Some of our favorite regulars include Gomer Pyle, who keeps busy as the mechanic at Wally's filling station when he isn't being sworn in by Barney as an assistant deputy; Floyd the Barber ( Howard McNear ) who is quite liberal with the witch-hazel and talcum powder, and Goober, Gomer's cousin. He does a mean imitation of Edward G. Robinson. Among the womenfolk there is Clara, Aunt Bee's gossiping friend who once walked crooked after spraining her back lifting the kitchen refrigerator; Ellie Walker ( Elinor Donahue ), the original lady druggist who sadly left Mayberry after only one season; Nurse Peggy ( Joanna Cook Moore ), a sweet-talkin' blonde who caught Andy's fancy until Helen arrived in town, and our favorite county nurse, the lovely Mary Simpson ( Julie Adams ) who was featured in only one episode. Then of course there were the Darlings, the singin'ist bunch of hillbillies you ever did see; little Leon ( Clint Howard ), offering peanut-butter and jelly sandwiches to every passerby he sees; Howard Sprague ( Jack Dodson )....good ol' Howie, he never could let go of his mother's apron-strings; Emmett Clark ( Paul Hartman ), the fix-it man, and Otis Campbell ( Hal Smith ), the town drunk, who was always sober enough to lock himself in jail for the night. Since General Foods was the sponsor for The Andy Griffith Show throughout its run, the principal characters were often featured in the commercials for its products, such as Sanka coffee ( "The coffee for folks who love good coffee...outstandingly good coffee!" ), Post Toasties cereal, and Jello pudding ( "for that extra creamy taste" ). These sponsor spots were as amusing as the episodes themselves and when Andy Griffith concluded these promotional plugs with a hearty declaration of "Goooood! ", it made you want to run to the corner drugstore and pick up a box of vanilla pudding. That's mighty potent endorsing, by golly. Gomer Pyle was such a popular character in the series that Sheldon Leonard and Aaron Ruben concluded that he deserved a spin-off series of his very own and, inspired by No Time for Sergeants, it was decided that his character would join the Marine Corps. 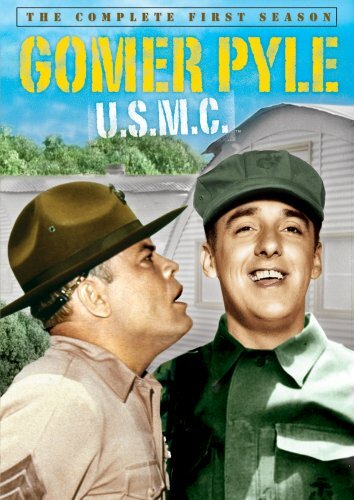 Gomer Pyle USMC aired on September 25, 1964 and Sergeant Carter continued to yell at him for five seasons with the show becoming one of the top rated comedies of the era. Even though Gomer's character wasn't quite the same, the series often overlapped with Gomer visiting Mayberry and Andy, Aunt Bee and Opie visiting Gomer at the barracks. 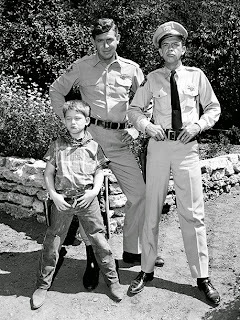 In the final season of The Andy Griffith Show, Ken Berry had a recurring role as farmer Sam Jones and he too, wound up with his own spin-off, this time as the new Mayberry sheriff. Frances Bavier joined the cast for Mayberry RFD too which lasted for three seasons, ending in 1971. Opie comes home talking about a "flower making machine" owned by sisters Clarabelle and Jennifer Morrison, the spinsters who run the local flower shop. Andy and Barney do a little investigating - and discover the contraption is actually a still and the kindly sisters are in the moonshine business! In this episode Andy is in his old lovable bumpkin characterization with Barney playing the straight-man. It's a clever spin on Arsenic and Old Lace with two sweet little old ladies running a moonshine business unaware that it is illegal since they only sell "elixir" for special occasions....like Mohammad's birthday and the Landing of Sir Walter Raleigh Day. 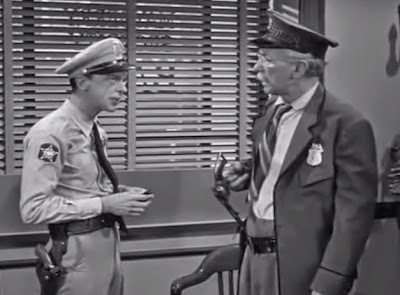 Barney becomes convinced the Mayberry bank is ripe for a robbery and tries to prove his point by staging a fake one. When he discovers a weak spot in the security system, he unknowingly relays this information to a couple of actual robbers. Barney is all hyped up about the complete disregard Mayberry's business owners have for security precautions and, in his usual inimitable manner, tries to awaken everyone in town to this problem. 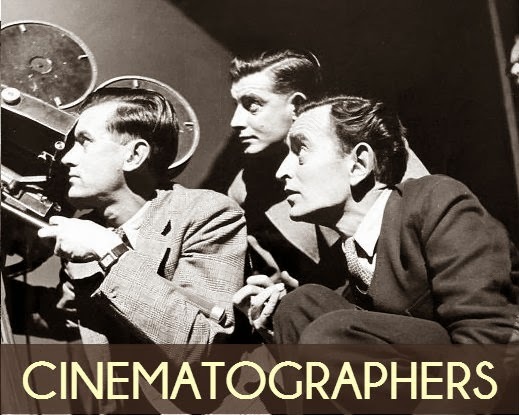 However, most of the citizens saw Glenn Ford in G-Men, the latest film showing at the local theatre, and they think that Barney is just playing cops and robbers. This running gag, along with Knotts going in drag as a cleaning woman, makes this one of the funniest episodes of the third season. Andy and Barney reminisce about old flames and decide to throw a class reunion. When the big night finally comes, they both find they have a lot to learn about how much things have - and have not - changed. 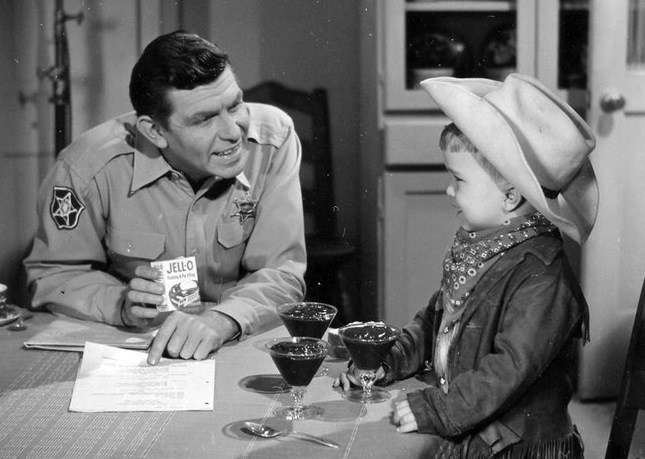 The Andy Griffith Show never preached to its viewers but each episode had a subtle moral in it. This one focuses on what people want in life. When Andy's high-school sweetheart returns to town for the class reunion sparks fly between them once again, until they realize that they have different perceptions on what they want in life and must part once again. Barney learns that the car he's spent his life savings on is a lemon, and the little old lady he bought it from may have put one over on him. When Barney and Andy set out to return the car and arrest her, however, they find the hardest part may be just getting to her hideout. This is undoubtedly one of the best Andy Griffith episodes created. Barney's expression is priceless when he, Thelma Lou, Aunt Bee, Opie, and Gomer hop into the newly purchased car for the first test run and Barney discovers he has been duped. When the car then breaks down on the road, even Aunt Bee and Opie have to help push it back to Mayberry. Thelma Lou's bachelorette cousin is coming to Mayberry for the town dance and Barney decides to set her up with Gomer. 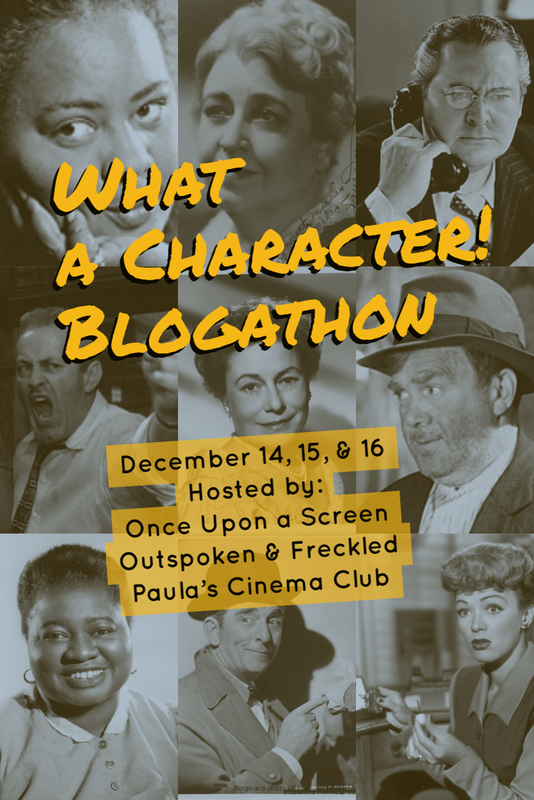 On the big night, they all meet up at Thelma Lou's and everything seems to be going great, until Gomer suddenly disappears. Gomer is just classic in this episode. He is a character all the way and in his efforts to make a good impression on his blind date goes out and spends over $10 buying a purple necktie ( with acorns on it ), yellow socks and brass-buckled shoes . Mary Grace Canfield, who portrayed cousin Mary Grace in the episode was often called upon to play homely roles such as these and it is a wonder that she didn't take all the ugly remarks personally. Runner-Up Favorites : The Pickle Story, The County Nurse, Man in a Hurry, Fun Girls, Haunted House, and Convicts-at-Large. 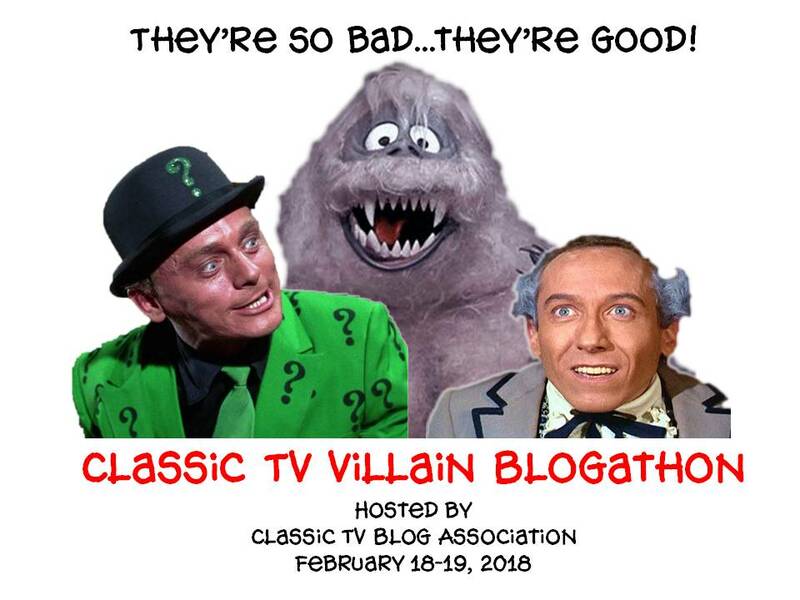 Be sure to check out the other fantastic posts on your favorite television classics over at the Classic TV Blog Association . Also, don't miss out on Me-TV's Summer Schedule. Episode summaries used for this post were courtesy of the Paramount DVD set descriptions. As Andy would say, "Thank you for reading this post, I appreciate it and good night!" 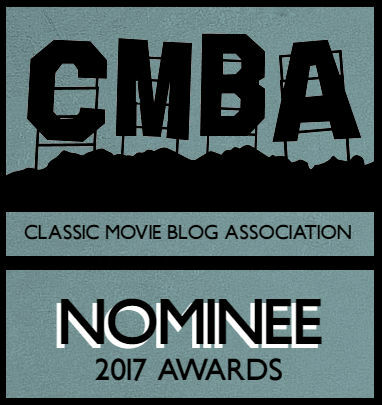 Wonderful, comprehensive write-up on one of the 1960s most enduring comedies! I especially like your description of how Andy Griffith evolved his character from the first to the second season (and beyond). I think some of the best episodes were the ones in which Barney returned to Mayberry (and sometimes seems to regret leaving). I was never convinced that Don Knotts made a good decision in leaving the show when he did. His career as a leading comedian was short-lived and I think he could have done more with Barney on the show. I grew in North Carolina, not far from Mount Airy, which was sorta the basis for Mayberry. Well, well, well...I didn't know you were a Carolina kid, Rick. I was in Mount Pilot a few years ago and it didn't look like that town changed much in the past 50 years ( not that I was there 50 years ago... ). The story goes that Griffith was talking about canceling the show after the fifth season - this was in 1964 - and Knotts started thinking about preparing for the future. 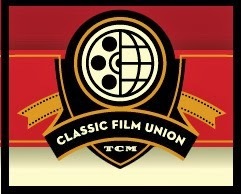 When Universal asked him to sign a five-picture contract ( the first film was based on the Haunted House episode of TAGS ) he accepted, thinking the show was going to end. 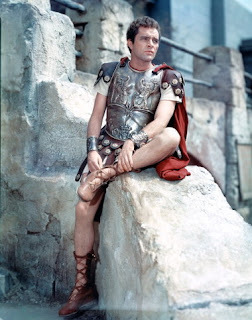 When they decided to continue the series he wanted to keep playing Barney, but thought "when will another film offer from Universal come along? "...and so he hiked that road. It does make you wonder how the color episodes would have been had Knotts stayed with the show. A lot of the "down-home" feeling of Mayberry was brought to some of the first films he made at Universal, especially The Reluctant Astronaut. Really great post about the show! It's such a fascinating series, appealing on a million levels. The dynamic of the friendship between Barney and Andy is so unique; I agree totally about Barney being a really fundamentally rather unpleasant combination of character traits, but Andy is so kind and understanding of what makes Barney tick.Andy shows true grace with all of Barney's overcompensating actions. As you and Rick mentioned, the loss of Knotts was a big crossroads and I think I'd exchange even "The Ghost and Mr. Chicken" for another couple seasons of him as Barney. Thanks for such a terrific and comprehensive (though extremely concise!) analysis of the show! I am amazed that you were able to watch the series! Did you have to buy it on disc or are episodes actually being aired in Italy? 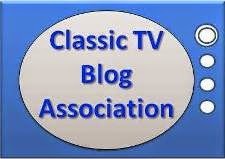 Excellent post on a TV treasure! I'm another who wonders about the "lost" Barney Fife episodes that never happened because of Don Knotts' departure from the series. My favorite recurring character on the show is wild man Ernest T. Bass. Howard Morris did a brilliant job in combining comedic aggression with a sweet neediness in the character. And Ernest T. seemed to even possess some magical quality, considering his mysterious ability to escape from Andy's jail cell more than once! Thank you for pointing out Ernest T. Bass. There were so many excellent character actors on TAGS and, especially among the hick-clan, many whom I did not mention. Bass certainly deserved mention however. Well-written and very entertaining post! Thank you. I hadn't watched Andy in ages. But, a year ago, I began at the beginning and I'd forgotten how absolutely wonderful it is. Then, Barney left and Warren showed up... I got a little stymied. But, I shall return! And, I've always been fascinated by the fact that the show ended when it was #1 in the ratings. Oh, and try having a last name like "Budnik" around a Barney Fife fan. "You got to nip it. Nip it in the bud... nik." "Yes. Thank you. We'll let you know." Like Rick29 said, Mount Airy, NC is kind of the basis for Mayberry, and the town has played that up quite a bit :-) You can see all kinds of memorabilia and props from the show there (including a squad car), there's a statue of Andy Griffith, and of course you can buy lots of Mayberry-themed souvenirs :-) It's pretty fun. What is the name of the beautiful blonde actress who was only in ONE episode of the Andy Griffith Show. She was locked in jail... and tried very hard to take advantage of Andy.... (and Barney). And, of course, she did take advantage of Barney and he let her out. As far as I know, she was only in one episode. I believe it may have been called "You can't blame a girl for trying". Ah yes, that was a great episode. It was called "Prisoner of Love" and aired in the fourth season ( 1964 ). The actress you are thinking of is Susan Oliver. 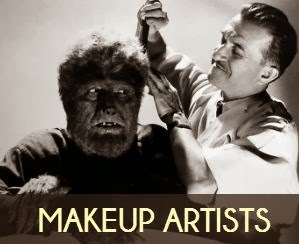 She did many, many television guest appearances, including playing a major part in the Star Trek pilot, The Cage, where she her body was painted entirely green!